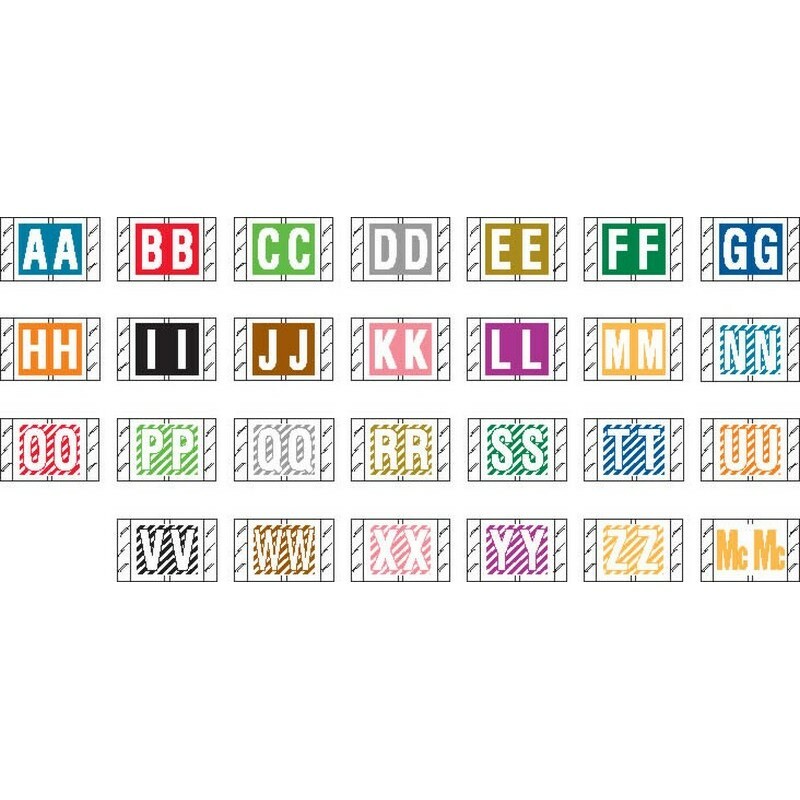 These Tabbies 12000 Compatible Alpha Labels are the standard in alphabetic color coding systems. This system features a clear skirt edge and is laminated. Letters A-Z & "Mc" are available, each with its own distinctive color. Label Size: 1 1/2" W x 1" H, Before Folding. Please fill out the form below to request special volume pricing on the product S-12000.